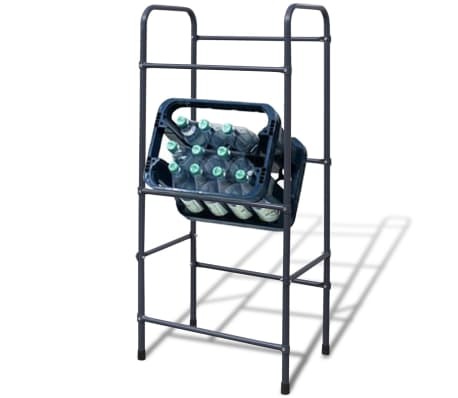 This convenient and space-saving crate shelf will be ideal for storing foldable grocery crates and drink crates, or collecting recyclable materials. 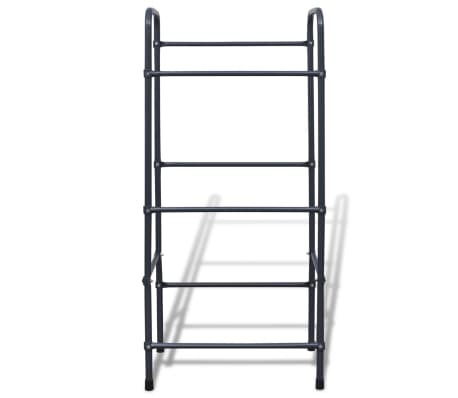 It will make a great addition to any household or company. The inclined design allows for easy access to the contents of the crates, and allows you to see what is inside them at a glance. 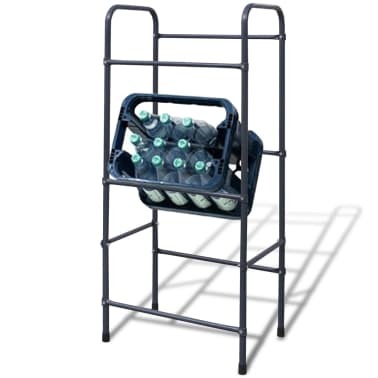 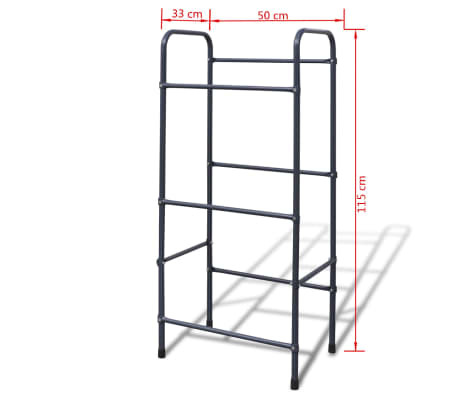 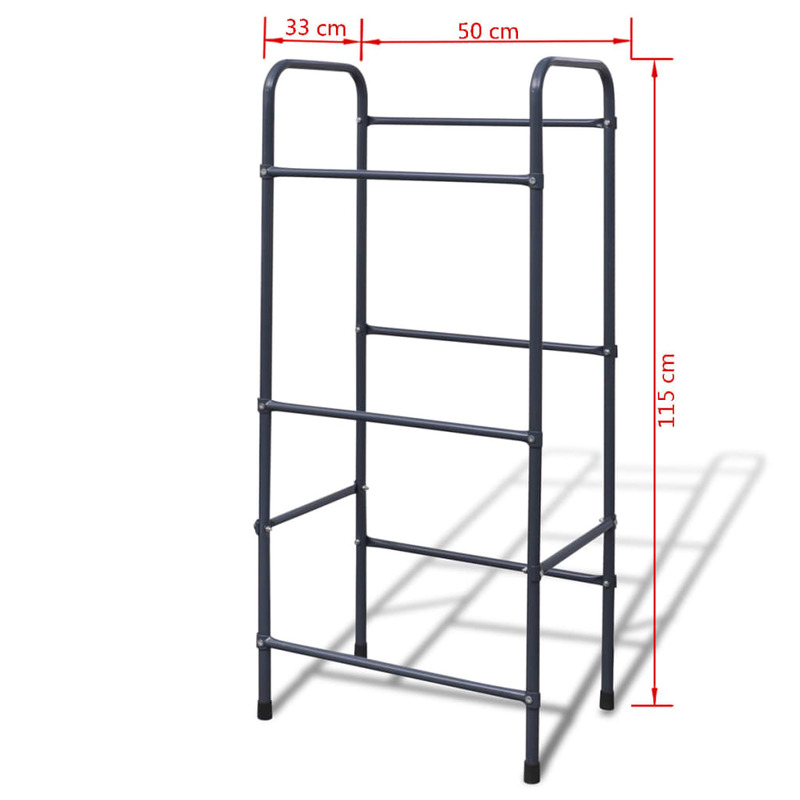 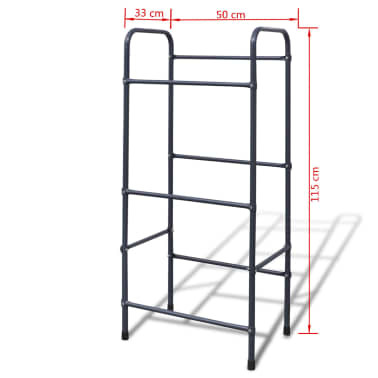 This crate stand is suitable for 3 folding grocery crates, Euro drink crates or standardized crates. 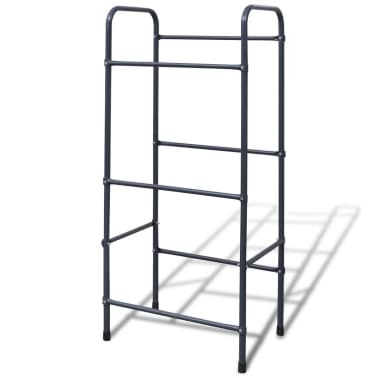 The shelf is made of strong steel, and built to last. 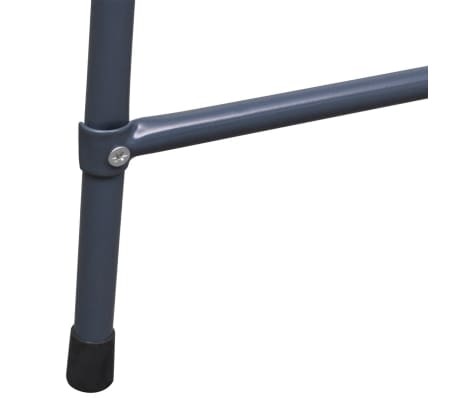 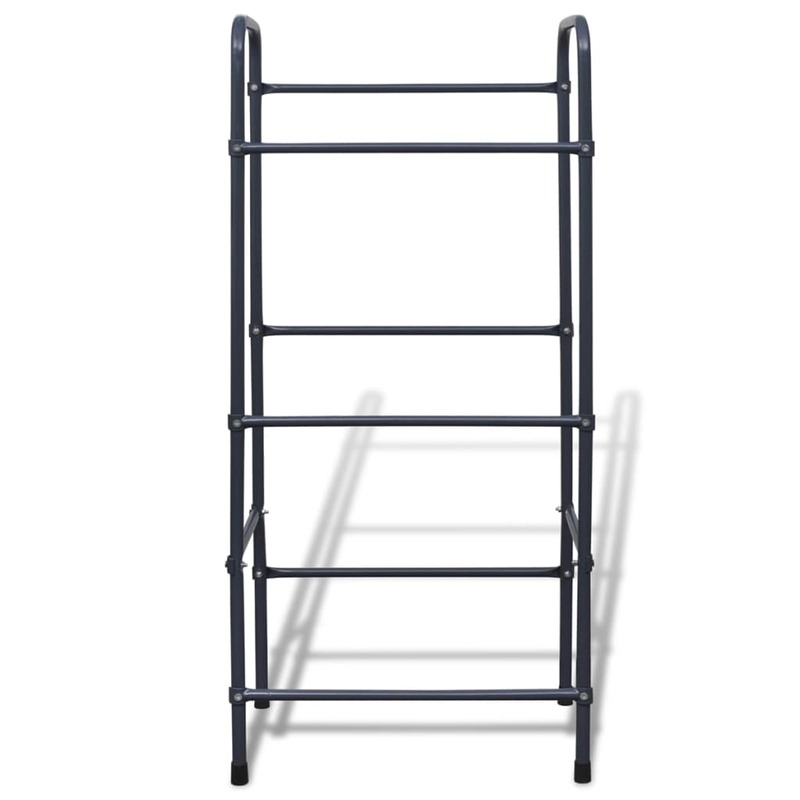 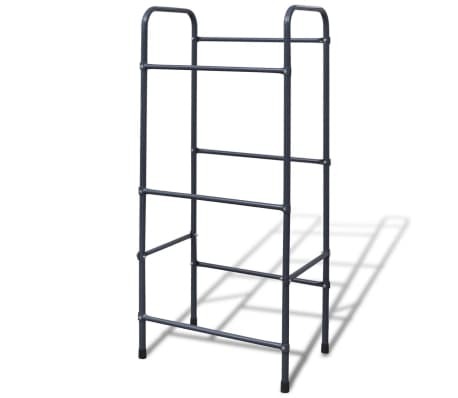 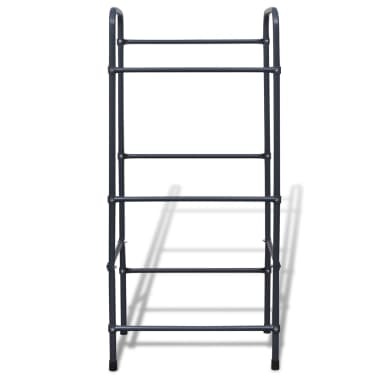 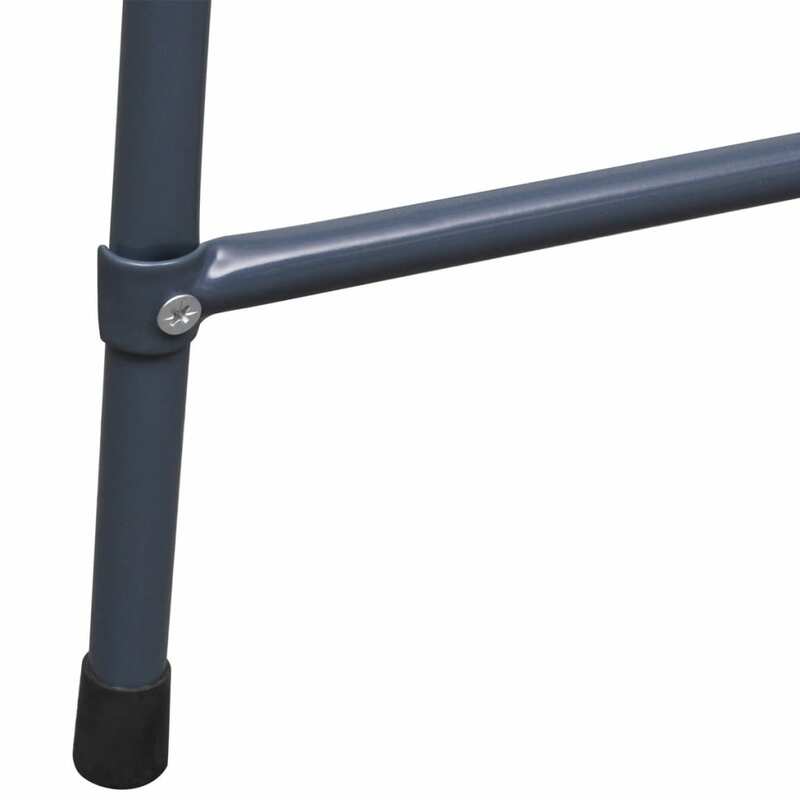 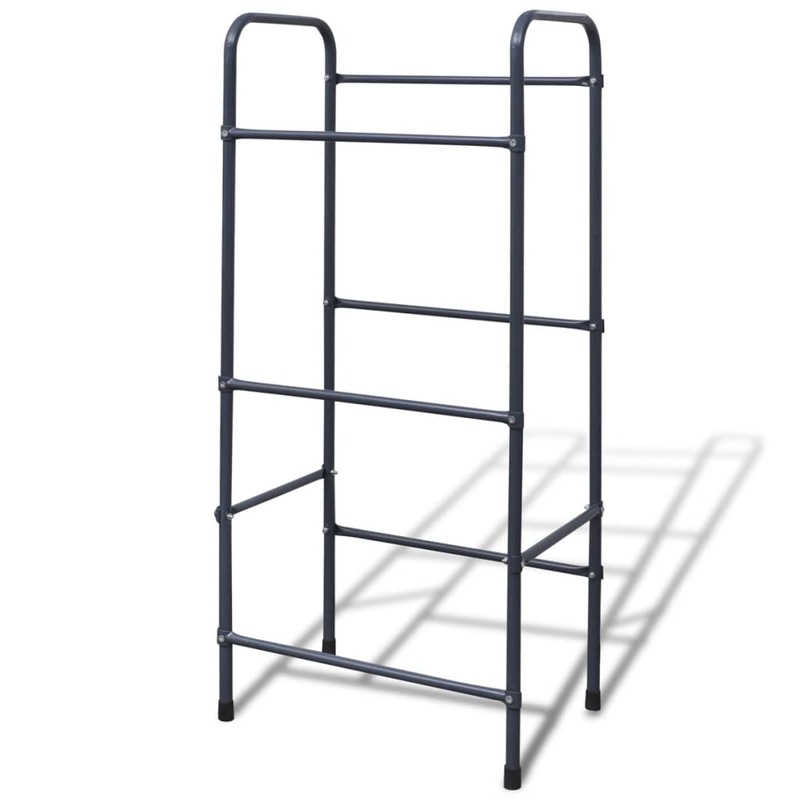 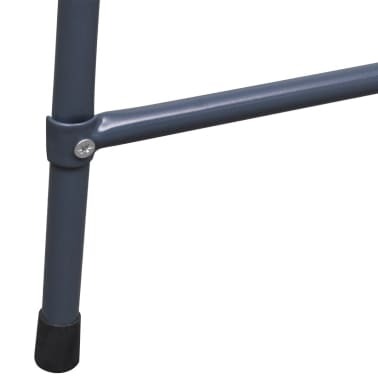 The plastic non-slip feet are designed to keep the rack from skidding.